Second powerful Earthquake strikes Pakistan in a year – Panic grips Karachi! 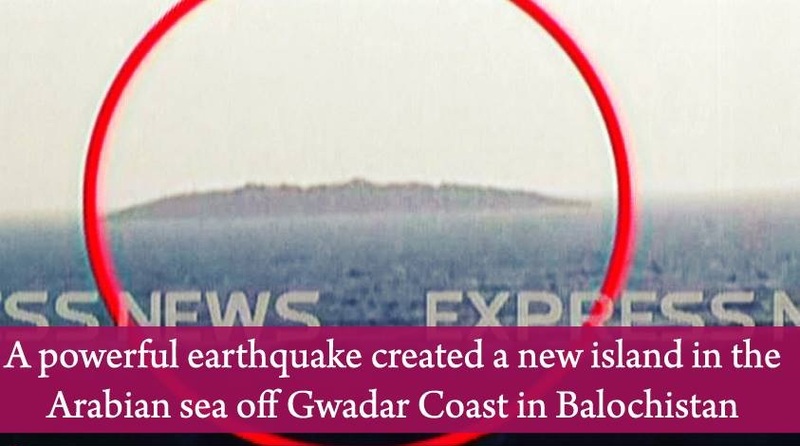 Island forms near Gwadar coast after powerful quake! Initial reports suggest the earthquake of magnitude 7.7 occurred in the SSE of Balochistan at about 4:29 pm PKT, strong tremors were felt in Karachi. 15 people are dead while 50 are injured in Balochistan in today’s fresh earthquake of 6.8 magnitude. Pakistan National Seismic Monitoring Centre says it has recorded 7.2 earthquake while the United States Geological Survey says that it was 6.8 in magnitude. These were the strongest aftershocks – Buildings have collapsed in Awaran’s Mashkai Tehsil. USGS says more tremors ‘very likely’. BREAKING NEWS: REPORTS OF DAMAGE DURING THE FRESH EARTHQUAKE!!! Rescue team rushing to the scene. 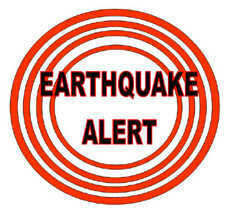 Tremors felt in Karachi, Sukkur, Larkana, Jacobabad, Khairpur, Quetta, Jaffarabad, Dadu, Sibi, Chagai, Girdonwah, Dalbandin, Dera Layar, Qazi Ahmed, Machh, Kech, Pungur and other areas of Sindh and Balochistan. USGS downgrades the earthquake to 6.8 magnitude, tremors felt in Karachi, Quetta, Hyderabad, Dadu, Larkana and other cities. Earthquake of magnitude 7.2 hits the already quake-affected area of Balochistan, tremors felt in Sindh as well. 10 tremors, ranging from 4.5 to 5.2, have hit the earthquake affected areas of Balochistan since the September 24’s 7.7 magnitude earthquake. The latest tremor hit the area today and it was the strongest tremor yet. 500+ people have died due to this earthquake as reported by the UK Media. Rain with windy conditions have been reported from Awaran district today. According to some media outlets, 328 people have died in yesterday’s earthquake in Balochistan while 500 are injured due to tensions in the area, the rescue response has so far remained low. On the other hand experts say that Gwadar Island would soon sink due to high tides and oceanic winds. BREAKING NEWS: Death toll in Balochistan province touches 45 while 200 people are reported injured. Buildings have collapsed in Awaran and Gwadar city of Balochistan. BREAKING NEWS: Officials confirm that 30 people have lost their lives in the Awaran district of Balochistan. 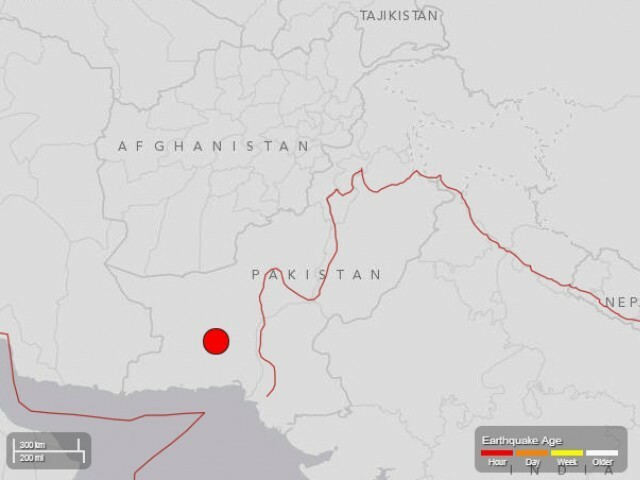 Tremors were felt in Karachi, Hyderabad, Larkana, Quetta, Khuzdar, Noshki, Chagi, Pasni, Gwadar and many parts of Balochistan and Sindh. 2 deaths reported from Balochistan, the victims of April’s earthquake are still living in camps. Unconfirmed – An Island has erupted near Gwadar’s coast. BREAKING NEWS: Reports of death and damage from Balochistan, two people dead in the province. Tremors were felt in India as well. Babar Bhai I’ve been reading your blog since 2011 and its been very helpful to me although this is my first time commenting. I have one question to you, you work so hard to keep this blog running and u have over 1,000,000 views so then why haven’t you placed Adsense or any other ads on your website? Im not sure if you know about this but You couldhave/can earn so much revenue. I’m just wondering because I know people who have made thousands of dollars of much smaller websites than this and they barely write once a month.